Kid's Clothes As Low As Just $2.88! Was $17! You are here: Home / Great Deals / Kid’s Clothes As Low As Just $2.88! Was $17! 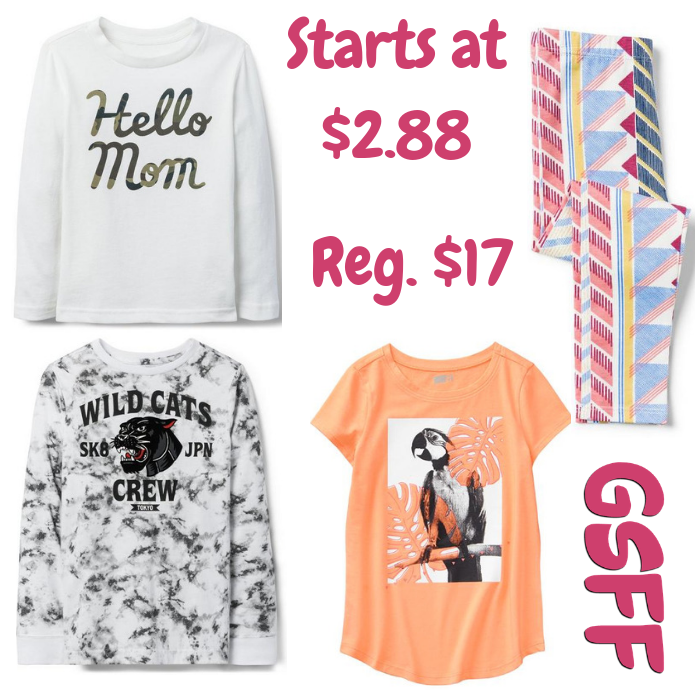 Kid’s Clothes As Low As Just $2.88! Was $17! For a limited time only! Hurry over to Crazy 8 where they are having a Clearance Sale on Kids Tees, Leggings & More! As an idea, you can get a tee for as low as $2.88 regularly up to $17!